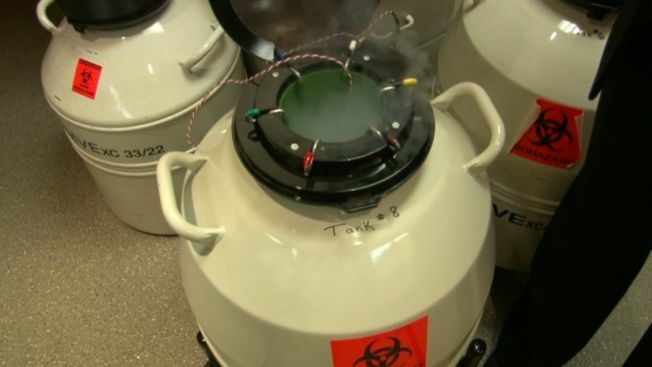 Liquid nitrogen tank failed at University Hospitals' fertility clinic near Cleveland and damaged more than 2,000 embryos and eggs. A health care network responding to lawsuits says it wasn't liable for a storage tank malfunction that destroyed more than 4,000 eggs and embryos at its fertility clinic near Cleveland. In court filings made public this week, attorneys for University Hospitals say patients were advised about risks involved with frozen specimens and signed related consent forms. The network says the problem wasn't caused by hospital negligence and suggests others might be responsible for what happened. Those responses don't sit well with some affected patients. An attorney representing more than 100 families says it's a change from University Hospitals' previous apologies about what happened. The health network acknowledges the situation has caused grief for patients and says it is required by the court to formally respond to the lawsuits.